Badla trailer: Will Amitabh Bachchan, Taapsee Pannu starrer recreate Pink success? 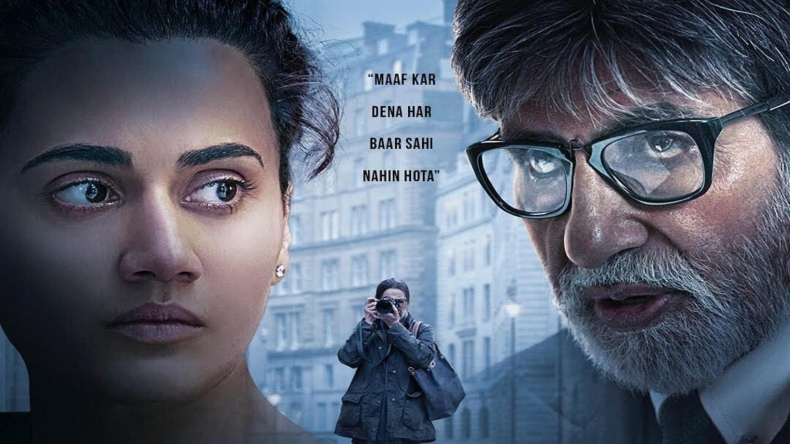 Badla trailer: Bollywood actors Amitabh Bachchan, Taapsee Pannu-starrer Badla is all set for a theatrical release on March 8. The makers of the film have released the official trailer of the film today and it boasts strong performances by the star-cast along with a gripping story. Badla will mark the reunion of Big B and Taapsee Pannu on the big screen after 2016 film Pink. Badla also stars Shah Rukh Khan in a prominent role. After delivering a powerful performance in Pink, Bollywood actors Amitabh Bachchan and Taapsee Pannu are all set to reunite on the big screen with their upcoming film Badla. The trailer of the film has been released today and it is making the buzz for all the right reasons. With strong performances and a gripping story, Badla has raised excitement level among the audience. As the film gears to hit the screens on March 8, the big question that pops up in every cinephile’s mind is that whether Taapsee and Big B will be able to make a mark once again or not. Just like Badla, Pink was also a courtroom drama. Raising important questions on women safety and consent, the film was not just a box office hit but also was widely acclaimed for its theme and strong performance. As seen in Pink, Amitabh Bachchan will once again be seen essaying the role of a lawyer on the big screen. Looking at the trailer of Badla, one cannot help but draw a correlation between the two films. Coming back to the film Badla, the film has been helmed by Sujoy Gupta and bankrolled by Shah Rukh Khan and Gauri Khan under the banner of Red Chillies Entertainment. The film is the remake of Spanish film The Invisible Guest. The tagline of the film reads ‘Maaf Kar Dena Har Baar Sahi Nahi Hota’. Along with Badla, Amitabh Bachchan will be seen in the upcoming film Brahmastra co-starring Alia Bhatt and Ranbir Kapoor. Taapsee Pannu, on the other hand, has been roped in for films like Mission Mangal and Saand Ki Aankh.